Living Blues magazine has announced the nominees for the 2017 Living Blues Readers’ Awards. 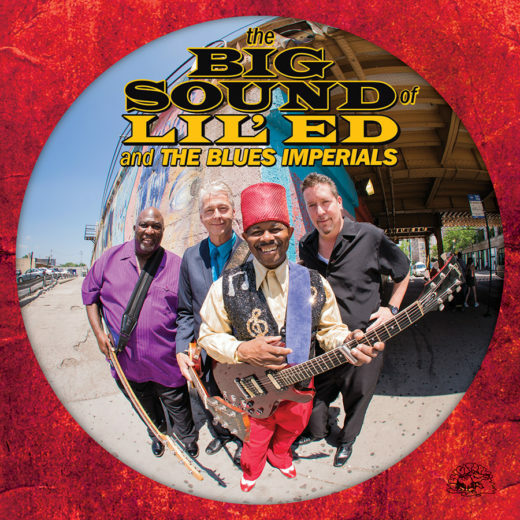 Lil’ Ed & The Blues Imperials received two nominations, for Best Live Performer and Best Blues Album Of 2016 (New Recordings), with The Big Sound Of Lil’ Ed & The Blues Imperials. The public —subscribers and non-subscribers alike— can vote at www.livingblues.com or by mailing in the ballot in the current issue of the magazine (#249), by July 15, 2017. 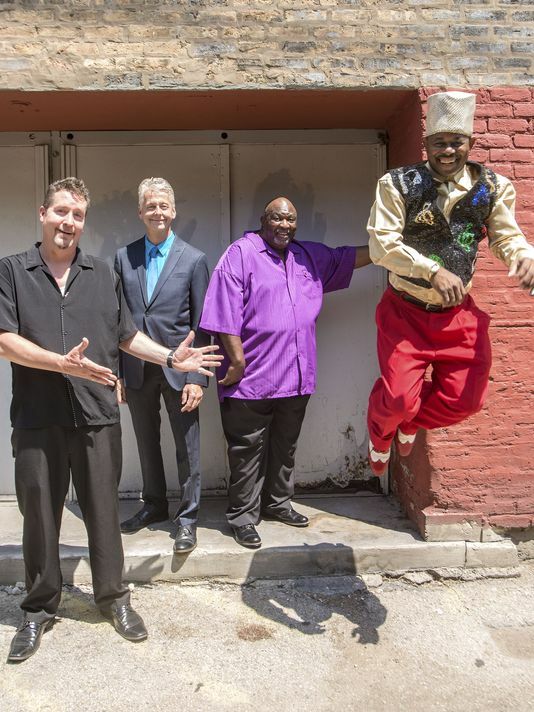 Contemporary blues outfits don’t come any finer than Lil Ed & the Blues Imperials, who have been preserving and updating the classic Chicago sound for nearly 30 years. 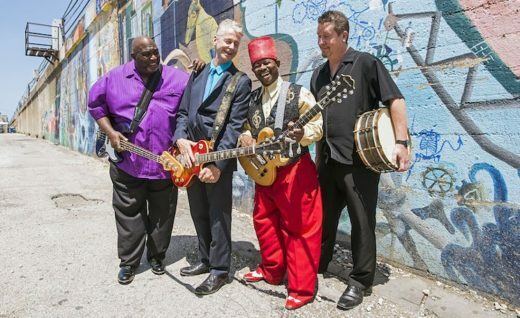 Fronted by diminutive but dynamic lead singer and guitarist Lil’ Ed Williams, the Imperials are proud sons of the West Side, the very same turf that once nurtured blues greats like Magic Sam and Otis Rush. Williams’ elaborate guitar calisthenics in particular have made the Imperials a top draw at concert halls and festivals hither and yon, shaping the Imperials into one of Alligator Records’ flagship artists. The group’s ninth album for the label, last year’s The Big Sound of Lil’ Ed & the Imperials, has earned them nominations for Best Band and B.B. King Entertainer of the Year (Williams) at the upcoming Blues Music Awards in Memphis. Chris Gray put Lil ‘Ed & The Blues Imperials in his “Shows of the Week” list, before their performance this Wednesday, March 29, at Dosey Doe in Houston, Texas. Read the full “Lil’ Ed & the Blues Imperials bring brilliant modern blues” story in the Houston Press. New release from world-renowned Chicago blues stars Lil’ Ed & The Blues Imperials made MOJO magazine’s influential list of Top Ten Blues Albums of 2016. Lil’Ed Williams, who recently guested on TBS-TV’s CONAN, hit #7 with The Big Sound Of Lil’ Ed & The Blues Imperials. Lil’ Ed Williams —leader of the world-famous Lil’ Ed & The Blues Imperials— was invited by Conan O’Brien to appear on TBS Network’s CONAN on Tuesday, November 15. More details about how the two men met. With their smoking slide-guitar boogies and raw-boned shuffles, Lil’ Ed & The Blues Imperials aren’t just trying to keep the blues alive; we’re talking about a full-blown resurrection. Known for their spontaneous and unpredictable lives shows, the band is celebrating three decades together with The Big Sound of Lil’ Ed & The Blues Imperials, their recently released 10th studio album since their debut in 1986. “In walks in this big, tall white guy and he just walked up to me. He said to me, “Where’s that damn Lil’ Ed? He’s probably not even going to show.” Williams’ response: “He’d probably show up if he thought that damn Conan would really show his face here.” Both men burst into laughter at the exchange and became quick friends. Williams is grateful for the national exposure Conan has provided by inviting the band on his show. A student of what’s commonly referred to as “Chicago blues,” or “bottleneck boogie,” Williams is a master of the slide guitar. His rollicking slide work and deep blues string bending and soulful vocals are as real and hard-hitting as Chicago blues gets. Williams learned the trade from his uncle, Chicago slide guitar king and master songwriter J.B. Hutto, who taught him how to feel, not just play the blues. The Imperials include bassist James “Pookie” Young, who is William’s half-brother, and drummer Kelly Littleton. Known for their bare-bones intensity, the band is equally adept at blasting out frenetic boogie gems such as “My Mind is Gone,” which will force even the most reluctant dancer to tap their toes, or pouring out tortured soul in songs such as “I Still Love You,” one of Williams’ favorite blues ballads. 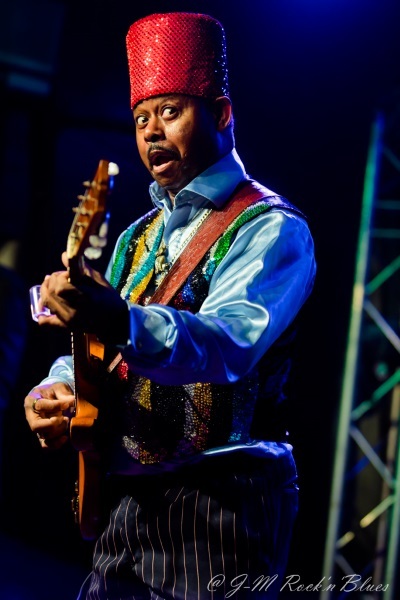 After 30 years of performing across the world and earning countless awards, including Best Live Performer and Band of the Year from Living Blues Magazine, Williams said his mission remains the same. “You have to pay your dues so that people recognize your music and respect you,” Williams said. “Whether I’m playing inside or outside, it doesn’t make a difference as long as people are having fun. In the blues world, song titles are sometimes just as entertaining as the song, often including double entendres, usually risqué in nature. Lil’ Ed Williams insists that’s not the case with his classic “Icicles in my Meatloaf.” “Man, everyone always asks me about that song,” said Williams, whose laughter reassures that he loves sharing the tale. By Federico Martinez. Read the full story with photos and videos in the San Angelo Standard-Times. This Big Sound is the foundation upon which Alligator Records was built. Beginning with the slide guitar boogie of Hound Dog Taylor and the House Rockers and spawned by the Chicago blues legends of Elmore James and Ed’s uncle, J.B. Hutto, Ed and his four member band have been churning out their own bottleneck boogie for almost thirty years now. This is their ninth album. What separates the charismatic, effervescent Ed Williams from so many others is his sense of humor, clever songwriting and virtually unmatched ability to electrify a crowd from the very first note. Festival favorites worldwide, fans adore Ed and his band. As the name of their 1986 debut album, Roughhousin’, suggests, theirs is a ragged, hard-edged sound that remains intact 30 years later. Ed and his half-brother, bassist James ‘Pookie’ Young, began playing together in their early teens, mentored by their uncle, J. B. Hutto. “J.B. taught me everything I know,” says Ed. “I wouldn’t be where I am today without him.” Here they cover two of J.B’s tunes, “Shy Voice” and “I’ll Cry Tomorrow.” The other twelve are either written by Ed or co-written with his wife, Pam. Titles like “I Like My Hot Sauce Cold” and “Whiskey Flavored Tears” are vintage Ed. Unlike the sound of Elmore or Hound Dog, every track is not a slide guitar scorcher. This is not only the big sound of Lil’ Ed and the Blues Imperials. This is the engaging, authentic, raw as it gets, real deal Chicago blues sound of Lil’ Ed and The Blues Imperials. Feel it. By Jim Hynes. Read the full review in Elmore Magazine. “I call it gut-bucket blues,” guitarist Lil’ Ed Williams says of his hard-driving Chicago blues sound, “’cause it gets down in the gut and makes you move around.” Nephew of the legendary slide guitar bluesman J.B. Hutto, Lil’ Ed and the Blues Imperials, boasting the same lineup for 27 years, have been tearing it up with Alligator records trademark house- rocking vigor since they were signed to the label in 1986, but a version of the band had been together a decade prior to that. Williams literally grew up in Chicago blues clubs, Uncle J.B. painting a mascara mustache on him, topping it off with a big floppy hat and a trench coat for added disguise to sneak him in clubs as underage musician. The tutelage by his uncle created a slide style like Hutto’s Elmore James-influenced sound. Calling their latest release The Big Sound is no hype. Ed and the Imperials live as large in the studio as they do in person. That tradition started on Ed’s ’86 Alligator debut, Roughousin’, when the naïve artist treated the recording session like he was in a blues club playing to an audience. Egged on by cheering producers, staff and anybody else Alligator founder Bruce Iglauer could round up and pack in the studio, Taylor cut his first record in two hours, laying down 30 songs. He takes it a little slower these days, but that initial energy and excitement is still palpable. Even a bucolic sounding title like “Raining in Paris” is a raucous vehicle for Ed’s slippery, gut-bucket slide work that recalls Hound Dog Taylor’s rattly kitchen table leg slide sound. All but two of the songs are originals, written solo or with wife Pam. The two covers are Hutto’s, “Shy Voice”, another tune whose title belies its bombastic rattle and hum, like Hound Dog on the loose again with that flyin’ kitchen table leg, and “I’ll Cry Tomorrow,” which is more like Elmore James spliced in with some Albert King and a healthy dollop of reverb laid on for good measure. But Ed’s no clone. His own stuff rocks and rattles and hums just as hard as his uncle’s, especially on done home vittle anthems like “I Like My Hot Sauce Cold.” As demonstrated on previous outings like ’06’s “Icicles in My Meat Loaf,” Ed’s kinda picky about his ingestibles. “I like my bar-b-q warm and my hot sauce cold, I like it scrumtily delicious,” Ed tells his server, punctuating his remarks with some blistering slide. In his hands even a shuffle like “Green Light Groove” gets hustled along at a frenetic pace, clanging and banging like a crazed chef hurling pots and pans across the kitchen. Its a great performance, just like the one you’ll see when he comes to your town. Age, maturity, and common sense prohibit him from doing the back bends he used to pull off, trademark fez nearly touching the floor, but the music is still as nimble as ever, as much fun to hear as it is to see. By Grand Britt. Read his full review on No Depression. Depuis le temps qu’il sillonne les routes du blues, on a appris à connaître le petit bonhomme au fez à paillettes. Et même s’il déroule la même histoire depuis des lustres, il serait vain de vouloir y résister. Justement parce que cette façon immuable de balancer son Chicago blues d’un autre temps est la meilleure preuve de son intégrité artistique. L’héritage de tonton J.B. Hutto se perpétue chaque soir au travers de sa slide acérée et bouillonnante. Et tant pis si parfois, ça coince un peu, on ne s’arrête pas aux détails dans le feu de l’action. On a appris ça depuis Hound Dog Taylor. By Jacques Périn, after Lil’Ed & The Blues Imperials’ performance at the prestigious New Morning, in Paris. Read the full story (in French) and see all the photos in French magazine Soul Bag.